Anyone who has the ability to look at a calendar can see that the month is now July. And anyone who was too lazy to look for a summer job in May knows there's only one job left for them—running a lemonade stand. Many might scoff at this suggestion, they might claim the only people who can look adorable providing slave labor at a lemonade stand are those who haven't even entered double digits in age. That's just completely wrong, eight-year-olds are about the worst people to work the stands, which is why us millennial need to swoop in and take these jobs from the kids who will one day employ us 50 years down the road. Why must millennial take the lemonade stands? Simply because the lemonade stand is a inherently flawed practice. 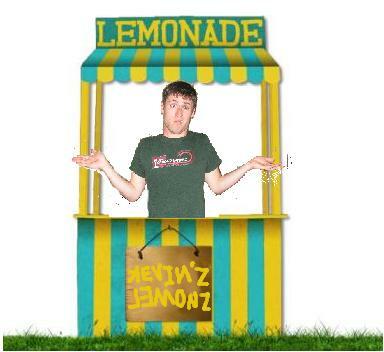 Kids only get into the lemonade slinging game because they're kids and they have no money. So who exactly are the lemonaders marketing to? Lord knows they're not doing it to other kids, because as we've established, the only way for kids to make money is by running lemonade stands or by selling an un-alcohol-tinged liver to a mad scientist. And as we've established, lemonade stands make no money. So why advocate starting up a lemonade stand then? 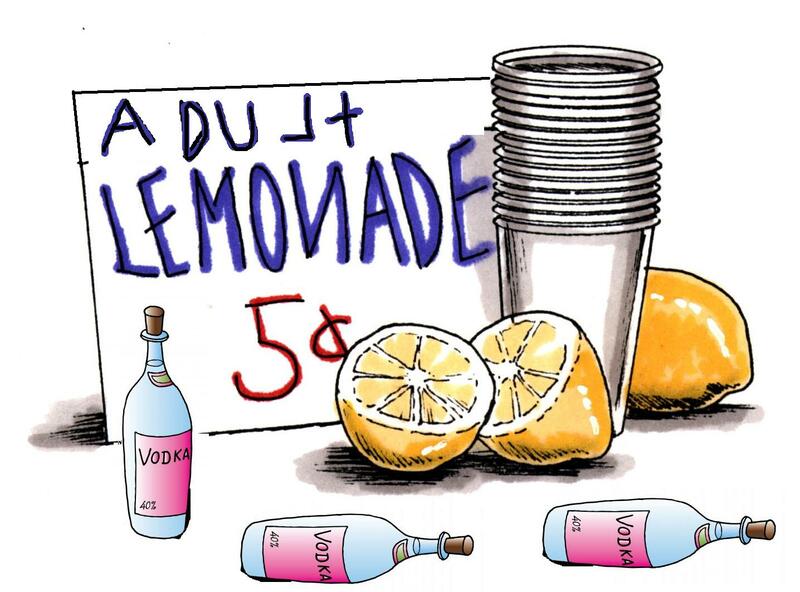 Because lemonade stands make no money for kids. And millennial aren't kids, they're some equivalent of adults. Adults have the money to market to adults. And therein lies the profit margin—selling lemonade to adults. That's why I started my own lemonade stand as a 27-and-a-half-year-old entrepreneur. I know that to navigate the profit issues that sink so many stands. With that, I launched “Kevin'z Lemon'z.” The z's show I mean business. 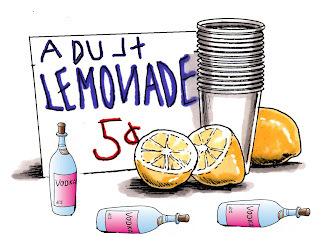 Most lemonade stands only stay in business because the kids' parents are bankrolling the whole operation. But as a pseudo-adult, my parents were only willing to back me on half of the endeavor. Luckily, Ponzi Schemes are still all the rage in the financial/lemonade markets and I soon had a full slate of investors looking to capitalize on those sweet sweet profits. Just like lemonade though, I'm certain they're aware that everything will soon turn sour. A steal at any price! And things did turn sour when the powers that be in the lemonade establishment didn't take too kindly to my entrepreneurial spirit. These powers were personified in Billy, a local nine-year-old punk that lives up the street. He told four of my potential customers that my stand didn't actually sell lemonade, but “regurgitated urine.” I'm not even sure how that would work, nor if he even knows the definition of the word “urine.” But I wouldn't just sit idly by while he besmirched my sole source of income. I needed to teacher this Billy character and his “Billy Goat's Gruff” lemonade stand a thing or two about the cutthroat world of lemonade standing. And if I had slit his neck, that previous sentence would have been even more accurate. Instead, I simply followed the directives of “Kill Bill Vol 2” to “Kill Billy Vol Only” and used Pai Mei's fatal pressure point technique on that cocky child. Don't look at me so negatively, this is lemonade standing, there aren't any rules. I'll Pai Mei's fatal pressure point technique anyone that looks at me crossly to make sure I can get my precious ade to market. I am a millennial, I can and will run this stand! So if anyone would like some fantastic ade, stop on by Kevin'z Lemon'z, now serving lemonade without various nine-year-olds' blood in it.